Archbishops and bishops of Orthodox churches from around the world attended Indiction, a religious service to mark the church's New Year according to Orthodox Christian beliefs, in Istanbul yesterday. Church leaders were in Istanbul for a five-day convention that started on Saturday. 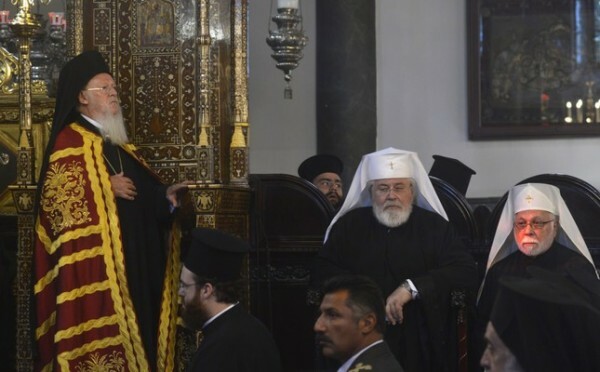 Fener Greek Orthodox Patriarch Bartholomew presided over the religious service at the patriarchate in Istanbul. Along with religious men, the Orthodox faithful from Istanbul, Greece and other countries flocked to the event. A total of 140 bishops and archbishops from churches in Europe, the United States and Asia are in Istanbul for the five-day convention where they exchange ideas and discuss a range of issues, including a Pan-Orthodox Synod, which is scheduled to be held next year. Planned since the 1960s, the synod will allow for sweeping changes to the church to be proposed, from changes to the church calendar to the rules on marriage of clergy members. The prelates, who will wrap up their meeting today, also discuss environmental issues and the church’s’ role on the matter, interfaith dialogue and other social issues. Istanbul is home to the Fener Greek Orthodox Patriarchate, which has a self-appointed ecumenical status granting itself direct authority to assign and dismiss prelates in churches in several countries, from New Zealand to the United States.